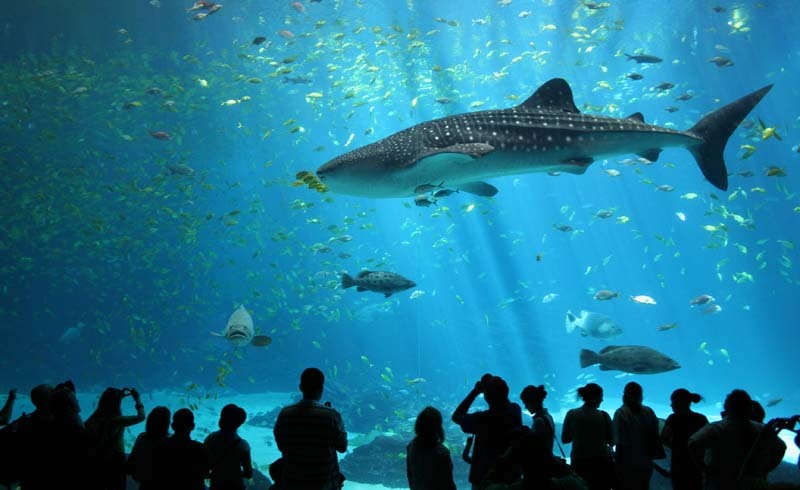 The 7 Most Amazing Aquariums in the U.S.
Real talk: Vacationing with kids can be stressful. We can’t help you stick to nap time (sorry), but we’ve got you covered on the "things to do" front. 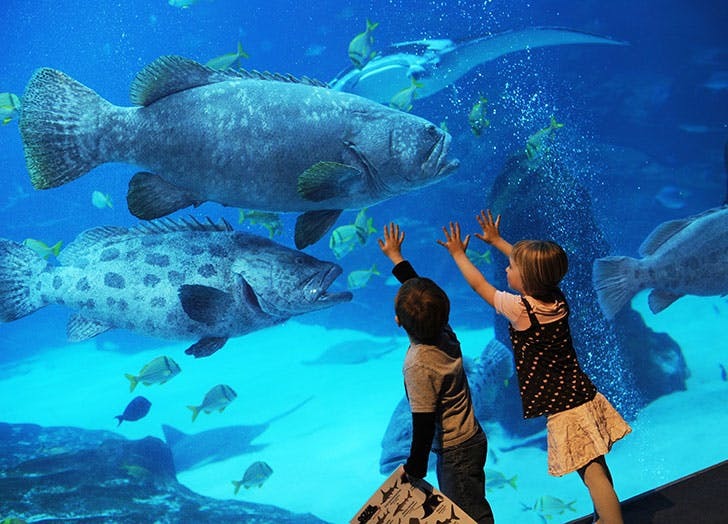 While a museum visit is likely to result in snooze-fest or temper tantrum territory, a trip to the aquarium is a guaranteed win. Here, seven top picks around the country that kids of all ages will love. And helpful guides, interactive exhibits and conservation efforts mean that little ones will learn something, too. Entertainment and education in one fell swoop plunge. Dive in. 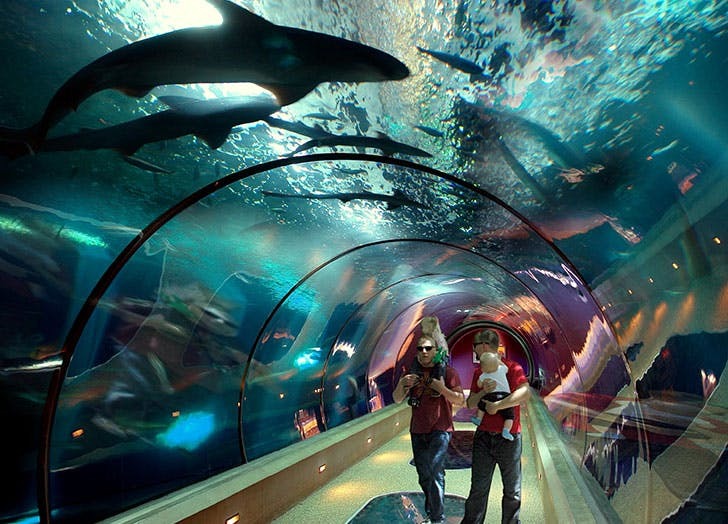 Come face-to-face with beluga whales, sea dragons, manta rays (Georgia is the only U.S. aquarium that has them) and more at this giant fishbowl that was once the biggest aquarium in the world. 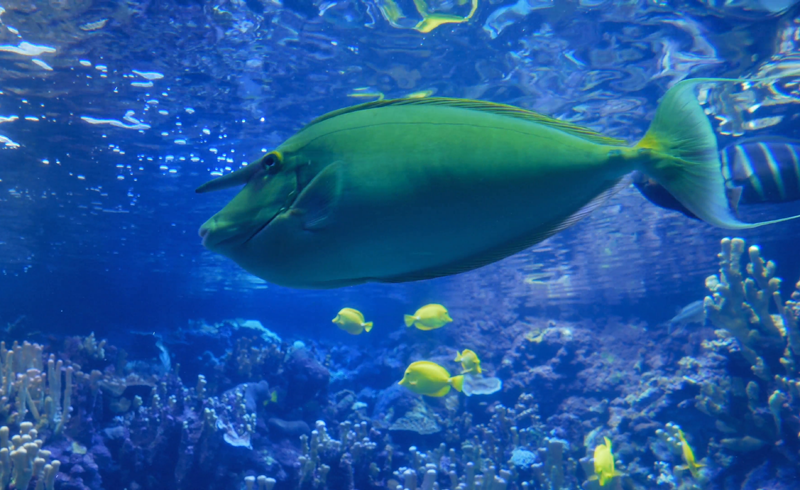 It also offers a special treat for toddlers—the chance to wade in a pool with slippery sea creatures and enjoy story time, crafts and costumed characters. 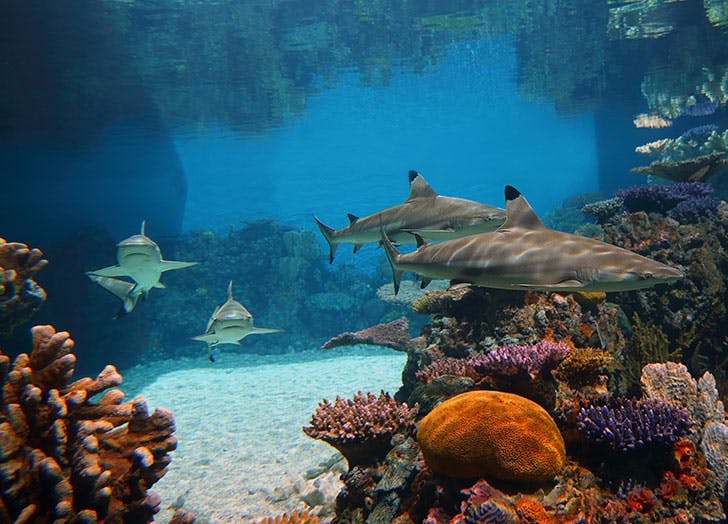 This giant marine center on the Boston harbor offers interactive exhibits (the shark and ray touch tank is a must-see) and a top-notch IMAX theater that houses the biggest screen in New England. 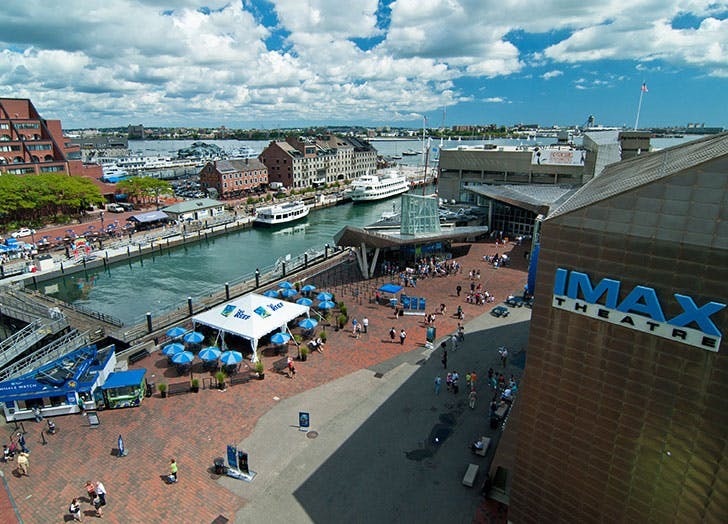 Tip: Combine your visit with a Boston Harbor Cruise whale-watching expedition that leaves from the docks located right outside the museum. Discover the mysteries of underwater archaeology in "Secret of Shipwrecks," watch sea lions and harbor seals twirl through water or see if you can spot the elusive giant Pacific octopus. 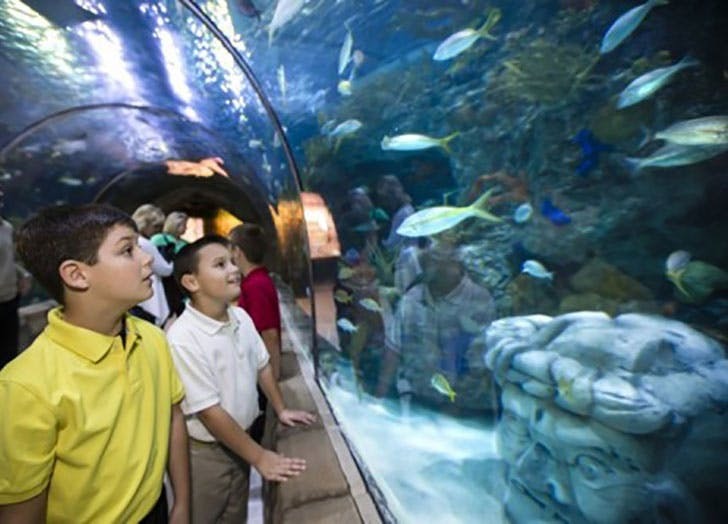 Young visitors will love the Passages of the Deep exhibit, which stretches for 200 feet and allows little ones to be surrounded by mesmerizing marine life. 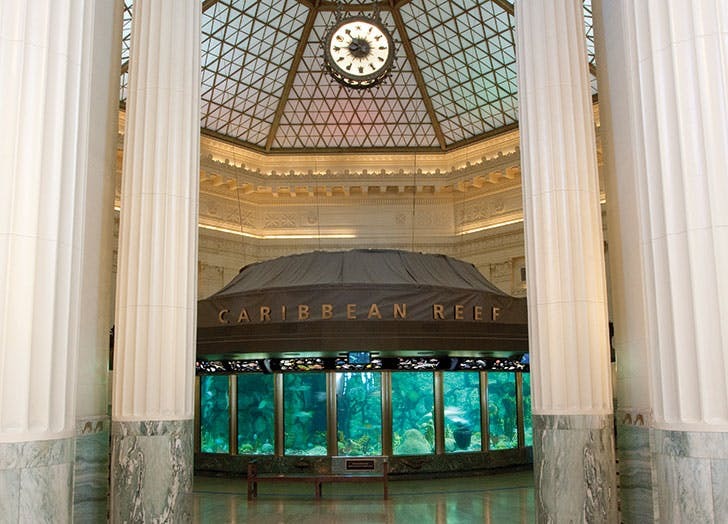 The tropical exhibits at this Windy City institution are worth the trip alone, but there are actually some pretty cool local creatures on display, too. "At Home on the Great Lakes" highlights some of the region's most notorious animals, even giving you the chance to touch a sturgeon (a scale-free fish that has been around since the days of the dinosaurs) and see tooth-ringed sea lamprey (Google it if you dare) up close. 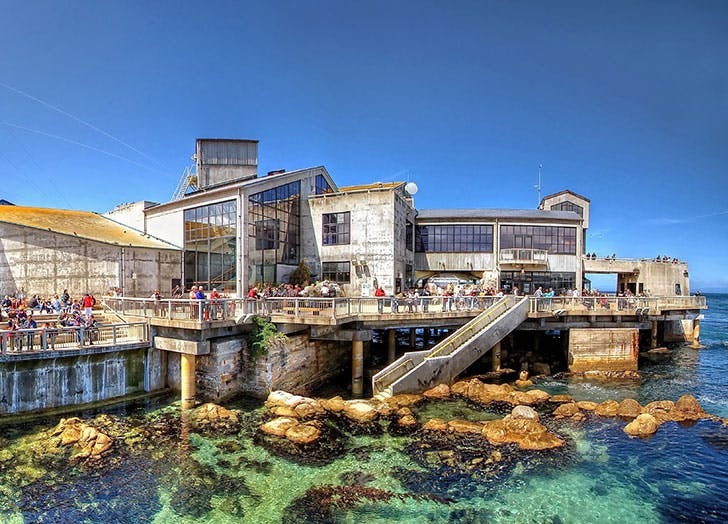 U.S. Daily News: The 7 Most Amazing Aquariums in the U.S.